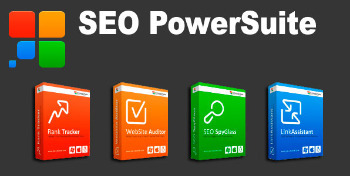 SEO PowerSuite is a compilation of Link Assistant’s top four SEO software products: Rank Tracker, WebSite Auditor, SEO SpyGlass and LinkAssistant. This suite of SEO tracking software brings together the best of Link Assistant’s SEO tools into one place where they are easy to access and can work together on your complete SEO program. This SEO software has tools for managing the most important components in your SEO program. It features resources for optimizing keywords, building links and analyzing your competition and it shows you the results with detailed reports. Small business owners who are looking for a SEO management software to track the many details of their SEO programs will appreciate SEO PowerSuite’s range of features and easy-to-use platform. The first thing to do is to spot the exact words people will type in Google to find your website. SEO PowerSuite tools will help you find keywords with the biggest potential to bring in your desired profits. Be quick to pick out the most frequently searched keywords at which your online competitors are the weakest! More website optimization features. The content of your webpages must be optimized for top rankings. With the WebSite Auditor tool from SEO PowerSuite you will optimize your content easily and professionally. This SEO software gives you detailed advice on how exactly to arrange your keywords on the website to get maximum chances to appear in top search engines results. More website optimization features. There is a whole lot of factors concerning your website’s structure and coding that hugely influence search engines’ rankings. WebSite Auditor from SEO PowerSuite gives you full control over your website’s architecture and lets you carry all structural and coding-related aspects of your website to perfection. More website optimization features. Obviously having numbers of high quality links pointing to your website is crucial when Googles decide how to rank you. Within SEO PowerSuite you find the advanced link management tool LinkAssistant that lets you boost your website’s link popularity and skyrocket it straight to Google’s top. You’ll find top quality link partners, establish thousands of first–class links, back up your link popularity with extra security steps and manage your link building like a pro, within one simple and quick tool. More website optimization features. You can already picture thousands of visitors opening their wallets to give you their cash, holding their credit cards to add to your bank account. Indeed you’re just one step away from getting the richest guy’s top position in Google. Still there’s a thing you must know: where’s your site right now? Is it moving higher at an ultrasonic speed so you can leave it alone and go on a Miami vacation? Or did you get stuck somewhere on Google’s page 4 and need some quick action? Instantly check where you rank, for all of your keywords, in all search engines! Keep an eagle eye on your competitors’ ranking and compare them to yours. Rank Tracker from SEO PowerSuite is your chance to be ahead of the curve at any moment, and grow your site’s performance. More website optimization features. Deals with website structure and content SEO optimization. Generates XML Sitemaps. Produces exports and optimization reports. Finds over 100,000 competitor backlinks and shapes your link-building strategy. Allows quick export of data and client reporting.